Development Synergy: Volunteering: Is It For Me? call me an advocate for volunteering, I will not call you a liar :-). It is one topic I am always happy to enlighten interested persons on. Having also volunteered in the past, makes it easier to share using my own experiences and examples. I was recently in a meeting where I went to speak to some set of young people on the concept of volunteering. During the question and answer session, a young person mentioned that he would not like to be used by any organization if he is not paid hence, not sure of volunteering. understanding to anyone out there considering to volunteer. There are different misconceptions about volunteering and gaps in the understanding of it. How do I know volunteering is for me? There are three main factors that characterizes a volunteer and volunteering in itself. Volunteering as a result of interest & passion for change - What are you passionate about? Why are you considering volunteering? In what area or sector are you interested in sharing your skills and using your energy to affect lives? If you are not passionate about a particular cause, please do not volunteer in that area because you will not feel fulfilled and like some, feel used by the organization. Find your passion and interest before making any move. The end motive should also be geared towards making impact in the lives of the disadvantaged and for the larger society. Volunteering by choice or free will - Volunteering as the name goes, is voluntary. When a person is coerced to volunteer, then it is not volunteering. It has to be a personal decision as a result of your interest in volunteering and passion for change in communities or to promote a cause. Volunteering; not for financial gain - If you are interested in volunteering because of the financial gain, then volunteering is not for you. You will need to get yourself a paid job :-). Volunteers are not paid salaries. They only receive allowances. There is no financial gain in volunteering however, volunteering can fetch you financial gains in the future. When you volunteer, you open up the doors of opportunity for yourself. Volunteering is always a win-win...you learn, you make impact and you grow. Through volunteering, you gain experiences, discover yourself more as well as leap in your career path. Having considered the above, do you still feel volunteering is for you? If its a yes, go for it! You have absolutely nothing to loose. 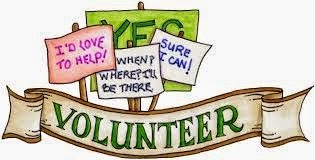 If you have ever volunteered as some point, please feel free to share your experiences here for others to learn. Volunteers contribute a great deal to community development, volunteer your time, skills and energy to develop our communities.